For the Restaurant Week series last March (http://restaurantweek.sg), the husband and I decided to try out Table at 7. My friends have raved about this place on several occasions, so I instantly grabbed the opportunity of trying out their Restaurant Week set menu. Their lunch menu was priced at SGD 40.00 per person. My husband had the Starter Choice A: Salad of the House. 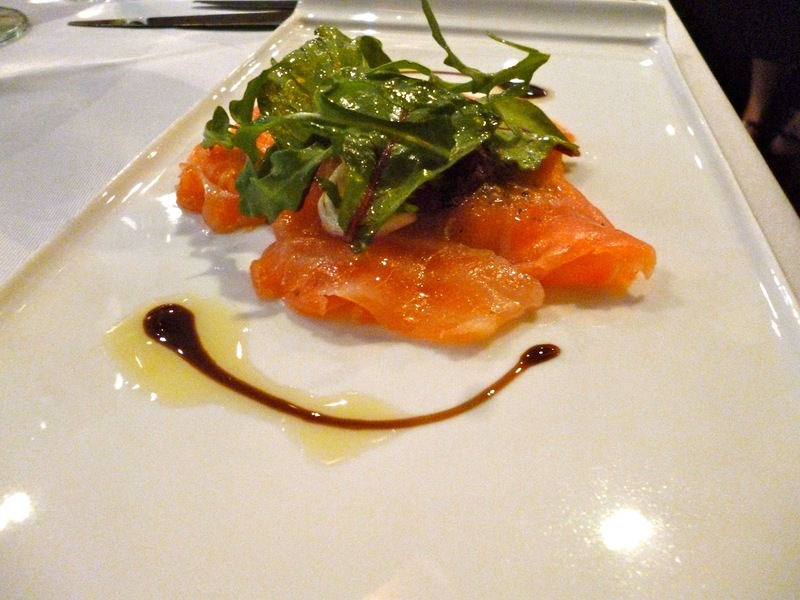 This was a smoked ocean trout with arugula and wasabi dressing. The dressing was brilliant and had the right amount of acidity and kick to complement the fish. 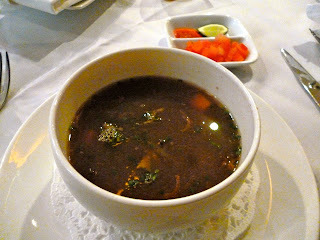 I chose the Starter Choice B: Authentic Javanese Oxtail Soup served with Root Vegetables and Glass Vermicelli. This was alright -- it was a beefy soup that was reminiscent of vietnamese pho. 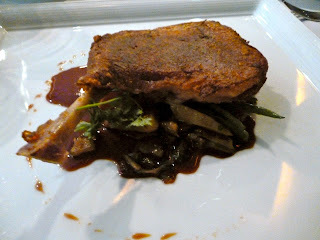 I had the Main Course Choice A: Crispy Duck Confit on Lyonnaise Potatoes, Fine Beans and Caramelised Onion, Port Reduction. The duck was cooked well - beautifully crispy on the outside with meat that falls of the bone. The seasoning however was a bit heavy handed on the salt. 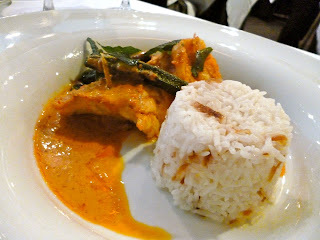 My husband ordered the Main Course Choice B: Eugenia’s Signature Reef Fish and Prawn Curry with Fragrant Jasmine Rice. 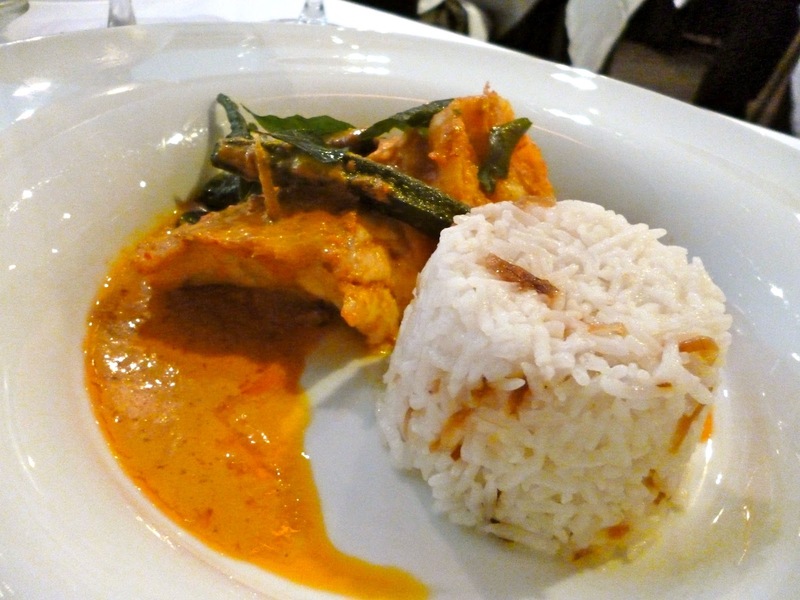 This was an average tasting curry in my opinion. Nothing creative about this dish. 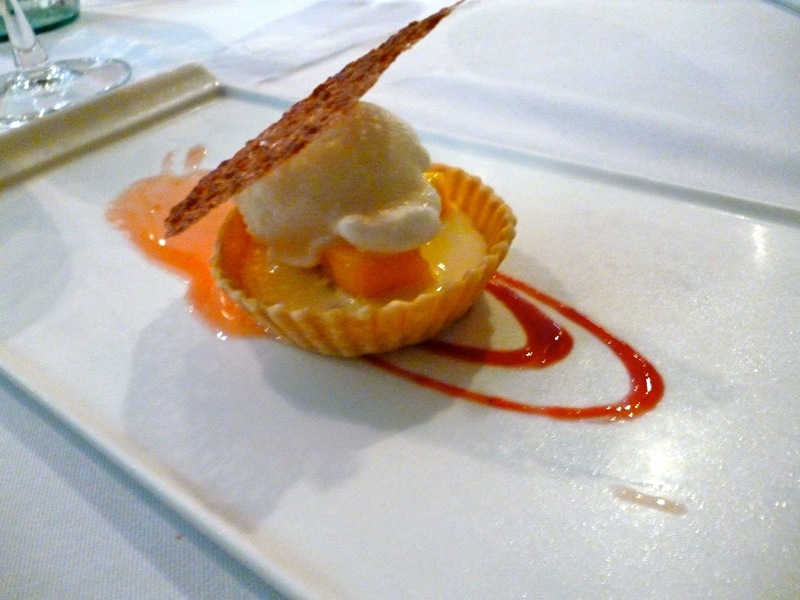 The last course was dessert where we were served the Mango and Passion Fruit Tart with Malibu Sorbet and Coconut Wafer. This was okay tasting, and similar to the curry was nothing note worthy. There were a few good dishes from the set menu. However overall the restaurant week menu was not as impressive as I had hoped for. Hopefully I can try out their ala carte menu some other time since I've heard great reviews about their other dishes.